Light cream: used more for a pouring cream, like into coffee and onto fruits. This cream has about 18 percent milk fat. This will also not whip properly, so do not use a substitute for cream in baking recipes. Heavy cream: the richest cream of all. This has between 36% to 40% milk fat. This makes the richest and heaviest cream for recipes. When whipped it holds its form and doubles in volume. Heavy cream is used for filling and decorating pastries. It is the cream that you use for piping. Half and half: consists of milk fat that is 10.5% to 18%. This is a mixture of half cream and half milk. It can be used in baking recipes in place of milk (for a creamier taste and texture). But you can not replace cream with half and half as it will not whip properly. You can make a lighter ice cream with half and half. Whipped Cream from a can: Some of these have real cream, but many are made from hydrogenated vegetable oils. Be sure to read the can before purchasing one. These can not be used as a substitute for cream in a recipe. Whipped Topping: Is not cream at all. It's made with water, corn syrup, vegetable oil(s), xanthan and guar gums and more. The only ingredient that mentions milk is sodium caseinate, which comes from milk. This also can not be used as a substitute for cream in baking recipes. Make sure the cream is cold. Chill bowl and beaters or whisk in the refrigerator for one hour, or in the freezer for 15 minutes. Beat cream at medium speed until cream starts to thicken. For soft peaks continue to beat until the cream, when beater is raised, droops slightly from the ends of the beater. 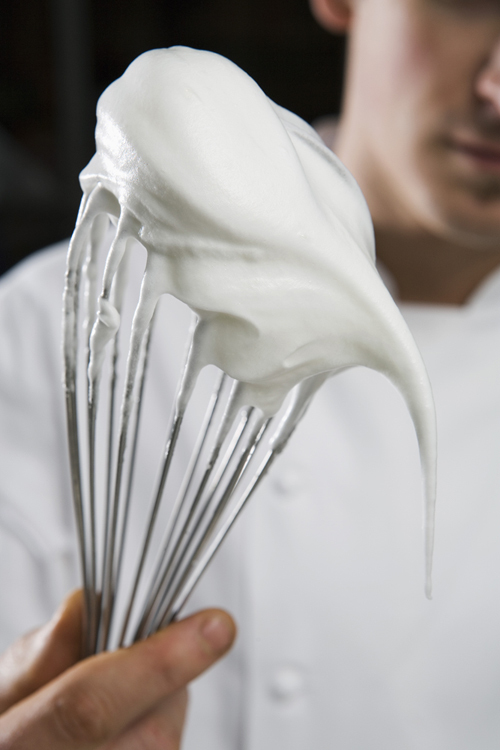 For stiff peaks beat cream until the cream holds its shape and clings to the end of the beater when raised. If the cream is beaten too long it becomes grainy. For more inspiration, visit our Tips and Techniques board on Pinterest.